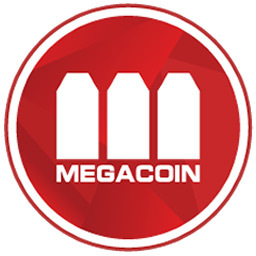 Megacoin is a new type of decentralized currency. Not minted or endorsed by any nation, but by users across the globe. Anywhere there is internet, you can send or receive Megacoins. Even in outer space. There are very little rules for Megacoin. To prevent inflation only a limited supply of 42 million Megacoins will ever exist. Megacoins are mined by users at a set rate for decades into the future. You can get Megacoins for free by mining or trading for them on an exchange. Every 21,000 blocks (1 month) the reward steps down from 500, 250, 125, 75, 50.